The arrival of the fourth-generation Ypsilon shows one of the positive effects of the Fiat-Chrysler alliance in Europe. Wearing Chrysler's winged badge, the near-premium subcompact will be the first Lancia model sold in the UK and Ireland since 1984. Fiat's alliance with Chrysler made the return possible because Chrysler has 46 dealers in the two markets. Sales of the right-hand-drive Chrysler Ypsilon start in September, three months after the car's launch with a Lancia badge in mainland Europe. With the launch, Lancia is trying to reverse its biggest weakness, the brand's heavy reliance on sales in its home market of Italy. Since the introduction of the Y10 in 1985, Lancia has sold 2.45 million units of the previous three generations of the Ypsilon, but more than 80 percent of those sales came from Italy. The Ypsilon will wear Chrysler's badge in the UK. "We want to reach 'Ypsilon people' – affluent, sophisticated customers willing to pay a little extra for a chic subcompact – in the rest of Europe," said Olivier Francois, CEO of the Lancia and Chrysler brands. While the outgoing Ypsilon is sold only as a three-door, the new generation will be sold only as a five-door in a bid to boost sales as five-door cars account for 75 percent of sales in the subcompact segment. There will be no three-door Ypsilons after production of the current car stops at the end of the year. Why launched: The Ypsilon is Lancia's best-selling model. It enjoys a near-premium price positioning in Europe's largest market segment. New technology: At 965kg, the Ypsilon is one of the lightest cars in its class due to the heavy use of ultra-high and high-tensile steel (78 percent) in the car's body. What's good? Affordability; stylish Italian interior; exterior with a two-tone paint job, a 900 euro option. What's bad? Poor accessibility for rear-seat passengers. Watch your head! The new Ypsilon's rear door handle is completely hidden in the C-pillar, making the five-door car look like a three-door model. The new model has a 300mm longer wheelbase compared to the current Ypsilon to boost rear legroom and make space for the extra pair of doors. Fiat's so-called "thin seat" technology will be used on the Ypsilon for the first time to help create additional cabin space. A choice of three engines will be available: a two-cylinder 0.9-liter TwinAir gasoline and two four-cylinder units -- a 1.2-liter gasoline and 1.3-liter diesel. The diesel and TwinAir engines will have CO2 emissions lower than 100 grams per kilometer. 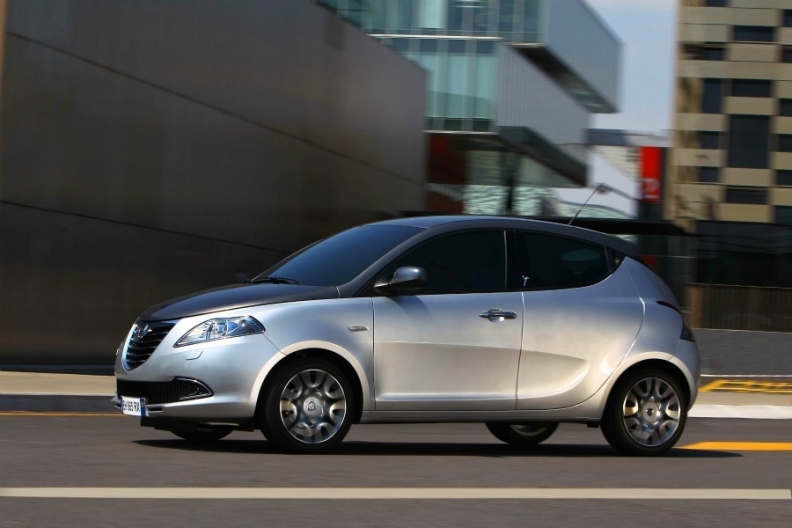 Lancia aims to sell 120,000 units a year of the new Ypsilon. 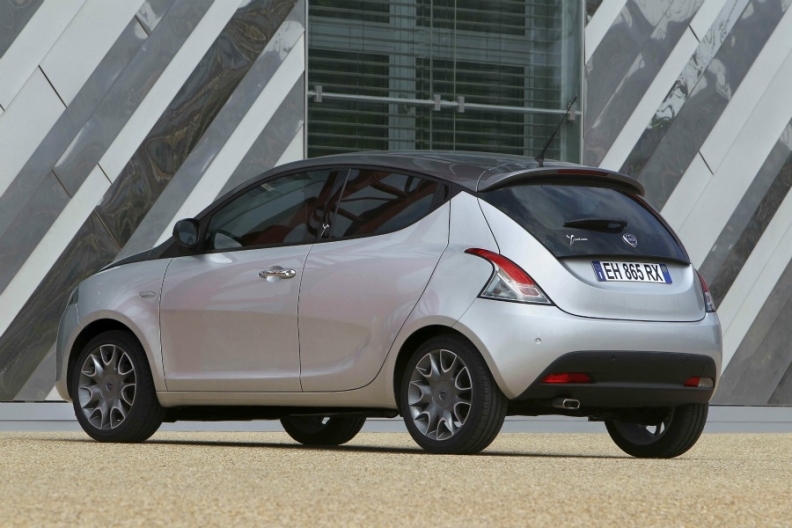 By comparison, sales of the current Ypsilon peaked at 85,000 in 2004. Lancia sold 49,834 units of the car last year. 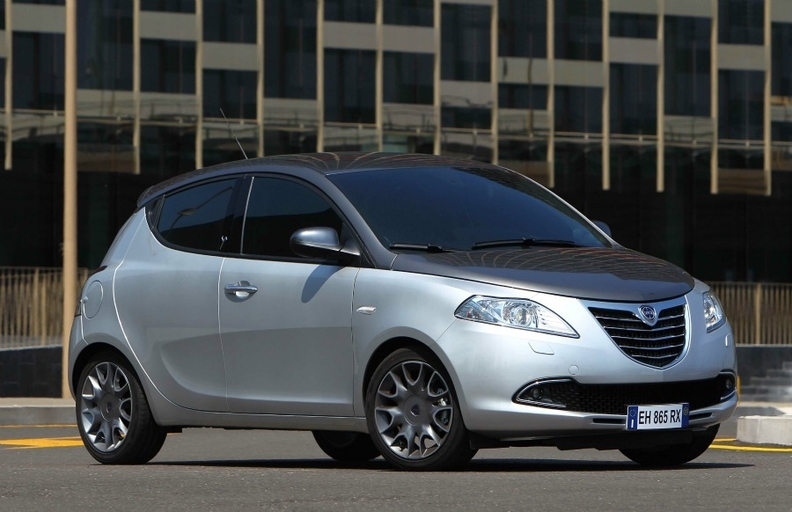 Sales of the new Ypsilon start this month.